1. Why is payment verification being conducted by Gearbest? Payment verification is a standard process for payment safety review, since fraud continues to have a meaningful impact to online consumers and merchants. We perform this anti-fraud check to verify our customers and for faster processing of future purchases. When it comes to fraud, transactions will be frozen by our risk control agents to process a refund to the original payment account. Therefore, any financial details are efficiently protected. 2. What should I provide to pass this verification? 1). 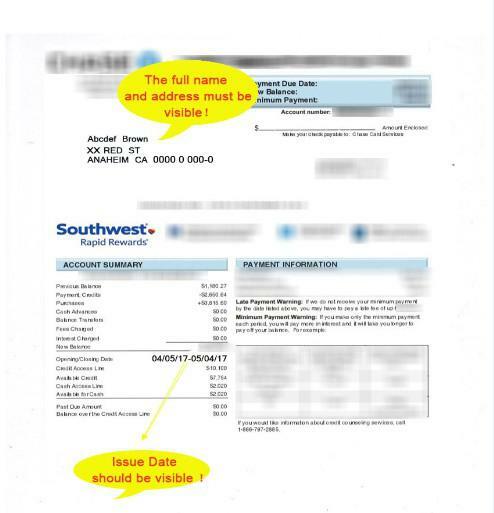 A copy of a colored utility bill copy in the name of the credit card holder or payment account owner: examples include telephone, gas or electricity bills; the address should match your billing or shipping address. 3. You are the first online retailer who has requested copies of my credit card and utility bill which in itself sounds fraudulent. Please rest assured that we are a legally registered company. Payment verification is conducted by reviewing data from all aspects, aiming at ensuring payment safety for our customer. We work hard to confirm that the transaction we reviewed is indeed authorized by the cardholder or account owner. 4. Is it secure for me to upload a scanned copy of my utility bill? All Gearbest payment review agents sign a confidentiality agreement when they conduct their on boarding process. Your data and privacy are well guarded at all times and the documents you provided will be deleted as soon as the payment verification has been completed. 5. Why not do this “verification” before the payment has been done? Payment safety and security can only be assessed once we receive your payment information.